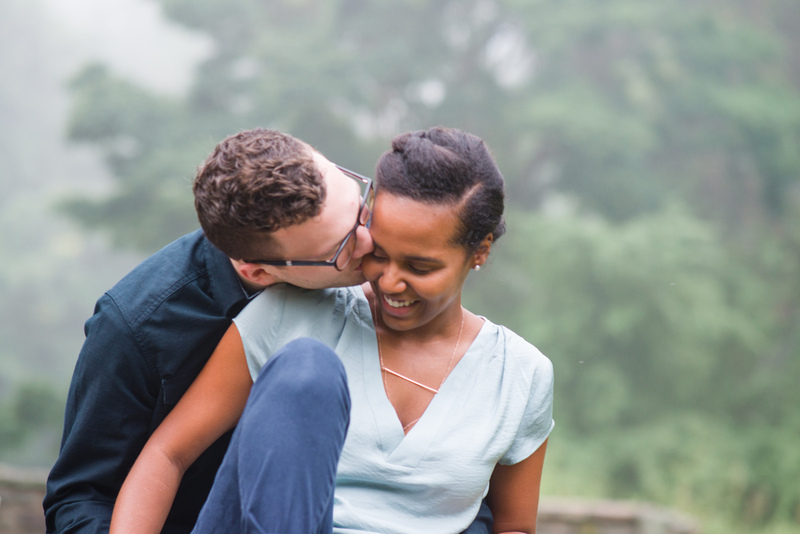 I have the rest of the images from this engagement session to show you, and I'm pretty excited about it. I'm not sure what David and Jewéll were thinking when they woke up to meet me at dawn. . . and then realized it was a cloudy day. . . but they came anyway! The fog stayed for most of the session and I was thrilled. 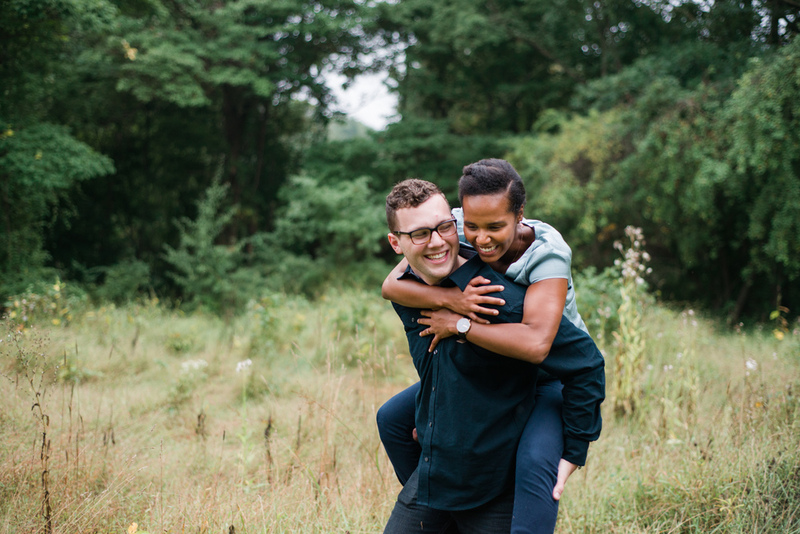 The romantic backdrop was a good fit for these two: She says she "got him" while seeing him in his element - picking through architectural artifacts at a salvage store, of course. His set-up for the proposal was magazine worthy. They like dates that let them talk and be homebodies. Sweet, no? Take a look at some of my favorites of the morning and read on, if you'd like! Even in the reality of in real life, love is pretty special. Contact me to document your own imperfectly perfect love story. All images are copyright Jacqueline Horning Photography and may not be used without written permission.